Spyridoula Maraka, M.D., explains her findings about treating women with mildly underactive thyroid to endocrinology fellows Sanaz Abedzadeh-Anaraki, M.D., left; and Muhammad Talha, M.D. Feb. 23, 2017 | Feb. 23, 2017 | In the first national study on the topic, a University of Arkansas for Medical Sciences (UAMS) researcher found evidence to suggest that fewer pregnant women with a mildly underactive thyroid should be treated than previously recommended. UAMS’ Spyridoula Maraka, M.D., published the findings recently in The BMJ, an international peer-reviewed medical journal published since 1840 and ranked fourth in impact among general medical journals. She is an assistant professor in the Division of Endocrinology and Metabolism in the UAMS College of Medicine’s Department of Internal Medicine as well as a staff physician at the Central Arkansas Veterans Healthcare System and research collaborator at the Mayo Clinic. A mildly underactive thyroid is called subclinical hypothyroidism. Symptoms are subtle and can include fatigue, cold intolerance, weight gain, depression and memory problems. Despite the mild symptoms, subclinical hypothyroidism has been associated with pregnancy loss or impaired fetal development. Spyridoula Maraka published her results in The BMJ, an international peer-reviewed medical journal. Physicians use bloodwork to look for elevated thyroid-stimulating-hormone (TSH) levels as an indication of subclinical hypothyroidism. It is commonly treated with the thyroid-hormone therapy levothyroxine. When Maraka began her study, the Endocrine Society recommended that pregnant women with TSH levels from 2.5 mlU/L and higher be treated. Maraka estimated that if this guideline was consistently followed, it would have a wide impact, applying to 15 percent of pregnant women in the United States, or about 600,000 a year. 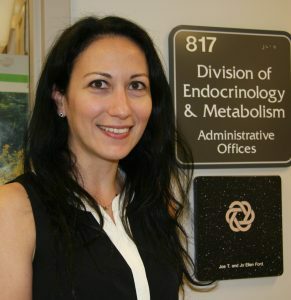 In fact, Maraka and her team found that only 16 percent of patients diagnosed with subclinical hypothyroidism received treatment – an indication that the guidelines are not being followed widely, either because there is not widespread awareness or because physicians were reluctant to follow the guidelines. The study used information from a national insurance database that included patients with private insurance and Medicare Advantage enrollees, Maraka said, noting that researchers think the database provides a diverse sample population suitable for studies of this kind. Maraka and her team found 5,405 pregnant women in the database with subclinical hypothyroidism, 843 of whom received treatment. Maraka and her co-authors conducted the research in two main stages. In the first stage, they simply compared pregnant women with subclinical hypothyroidism who received treatment to those who did not. They found that the women who received treatment saw a 38 percent decrease in their risk for pregnancy loss. However, they also found that the pregnant women who received treatment were at an increased risk for gestational diabetes, preeclampsia and preterm deliveries. In the second stage, the researchers divided the treated women into two groups depending on the severity of their subclinical hypothyroidism and compared each group to the women with subclinical hypothyroidism who were not treated. The women with TSH levels of 2.5-4 mlU/L were the “mild” group, while the women with TSH levels of 4.1 mlU/L or higher were the “severe” group. The researchers found that the severe group saw the biggest drop in pregnancy loss compared to untreated women, without the increase in complications. The guidelines for treating subclinical hypothyroidism in pregnant women have been controversial and there has been significant medical interest in Maraka’s findings. Her study was completed in June 2016, accepted for publication in December, and by the time the article was published on Jan. 25, the American Thyroid Association had issued new guidelines, raising the TSH level threshold before treatment is recommended. “The guidelines have moved in the same direction suggested by our study, and while disagreement remains prevalent in this area, everyone agrees we need more studies to determine the best guidelines for improving patient outcomes,” Maraka said. 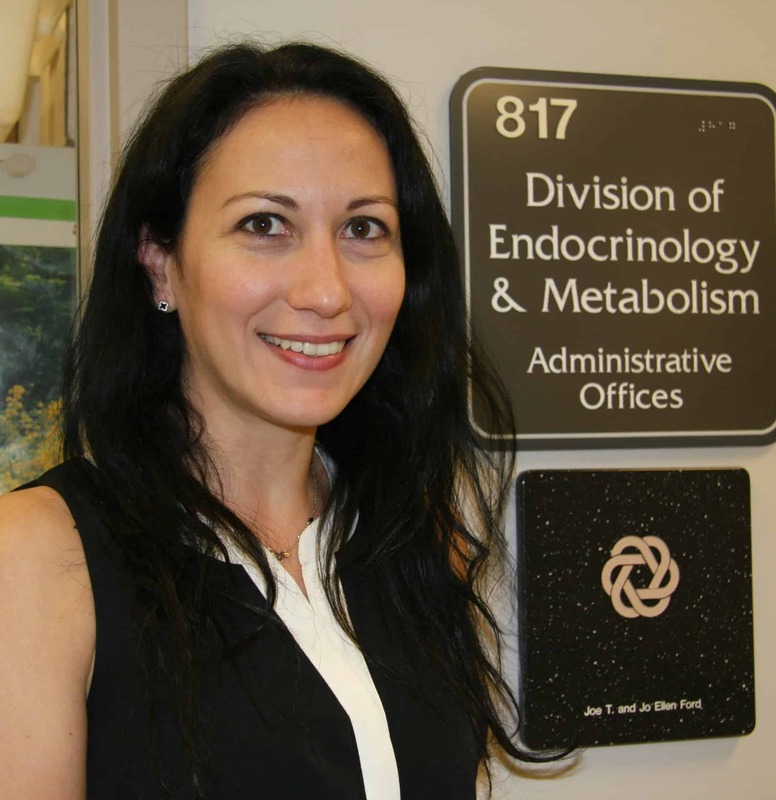 The next annual meeting of the American Thyroid Association will be in Oct. 18-22 in Victoria, Canada, and Maraka is scheduled as one of the presenters. Maraka earned her medical degree from the University of Athens School of Medicine and a master’s degree in clinical and translational science from the Mayo Graduate School in the Mayo Clinic College of Medicine. She remains a research collaborator with the Mayo Clinic and came to UAMS and the Central Arkansas Veterans Healthcare System in October 2016.